Uses time release patch technology to allow inhalation of essential oils. 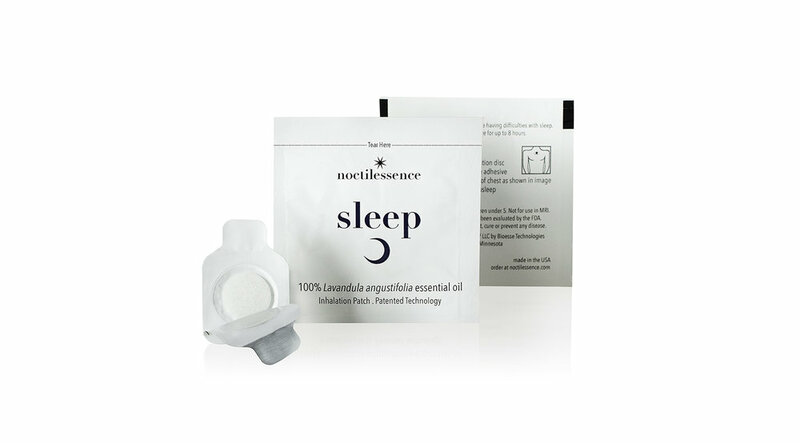 Sourced from plants that have been specifically selected for their chemical properties to assist with sleep, calm, and energy. Disclaimer: This patch has not been evaluated by the FDA. It is not intended to diagnose, treat, cure or prevent disease. "A randomized controlled trial with college students found inhaled lavender (Lavandula angustifolia) to have a clinical effect for improved sleep quality after 5 consecutive nights." Read more here. -Lillehei A, Halcon L, Savik K, Reis R, (2015) Effect of inhaled lavender essential oil and sleep hygiene on sleep in college students with self-reported sleep issues: A randomized controlled trial, The Journal of Complementary and Alternative Medicine, Volume 21, Number 7, 430-438. Real Simple wrote about lavender and sleep in a 2016 article quoting Noctilessence founder Angela Lillehei. Read it here. Time Magazine included Angela Lillehei's 2016 study in a roundup of "6 Science-Backed Sleep Remedies." Read more here. 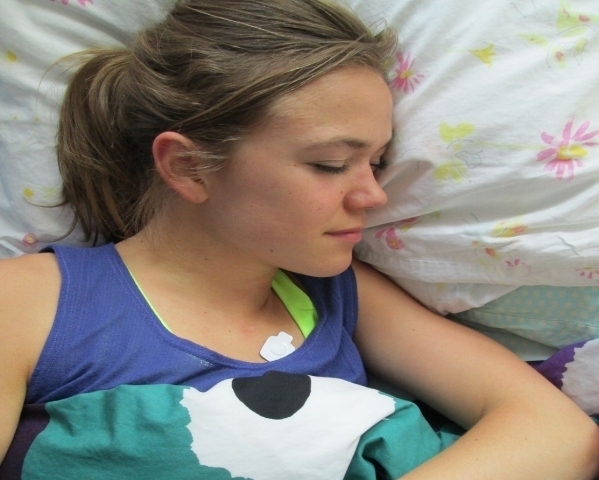 Angela Lillehei wrote about lavender improving sleep for college students in the Huffington Post.